A visible and immediate monitoring system of contaminating emissions into the atmosphere. This is what GOB asks the Port Authority in order to have better control of the quality of air in the Port of Mahon. 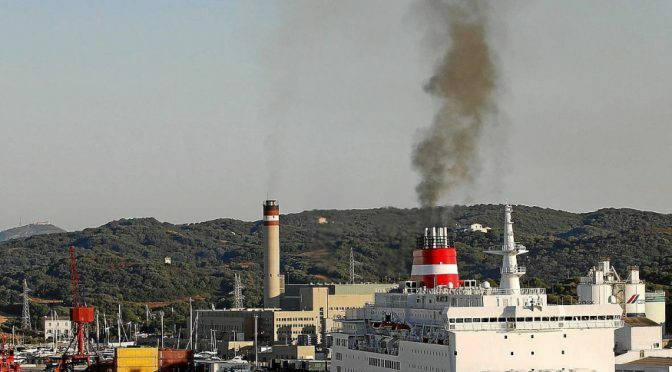 The Port Authority has recently been legally contracted to monitor the quality of air in the ports that they manage in the Balearics (Mahon, Palma, Alcdia, Ibiza and Formentera). GOB has made use of this procedure to send the President of the Port Authority, Joan Gual, in writing the worries about the environmental effects coming as much from the Central Power Station found in the interior of the port as from the emissions of the large boats that they operate. To confront situations which have been going on for so long, GOB has asked that the improvements which are being put into effect should include monitoring systems that give accessibility to the public for up to the moment readings. They could be physical screens at some point in the town or they could be on some internet site with free access. It is considered that anyone should be able to find, in real time, the level of emissions. This would be a good way of preventing the use of the undesirable or forbidden types of fuels as much as the practices which could be improved to give positive consequences for all.